I just love it when clients want to go all-in. 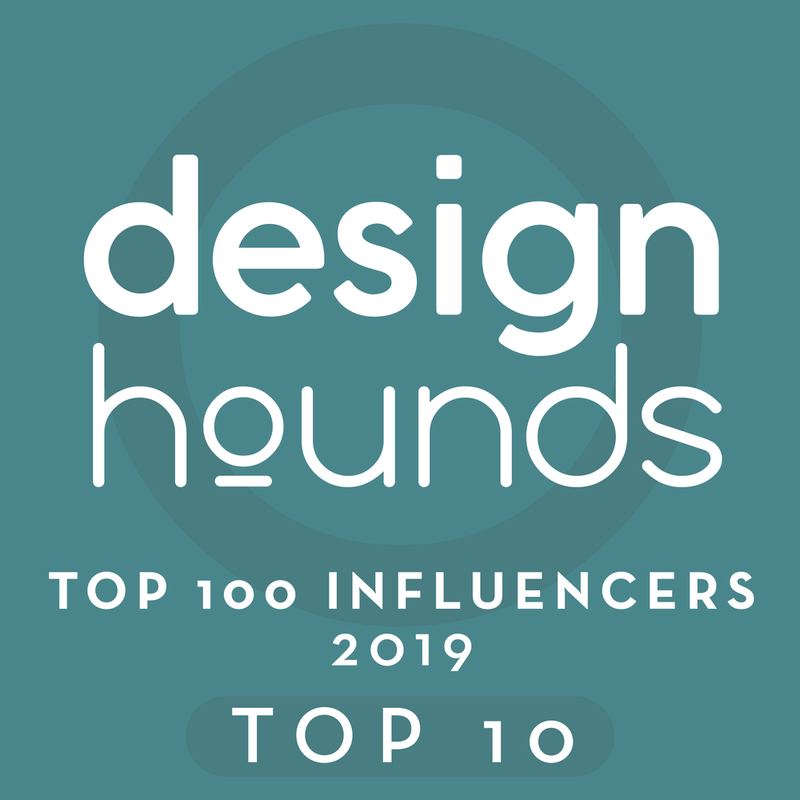 You know… when they want to take a concept and push it to be all it can be, with exceptional, unique details, materials, and design that can take a space from “nice” to “amazing”. These are the clients I continually seek out; clients that, at the end of my presentation, lean back and say, “You had fun with this, didn’t you?” Clients want you to feel that way. They appreciate it. They know that the more fun you have the better work you’ll produce. This bathroom was tired, worn-out, and had cheap finishes and peeling wallpaper, in desperate need of a redo. I shared the design concept for this space, along with my client’s wishes for it, HERE. They wanted to go after a look that was vintage and featured classic details, better storage, a seated vanity for her, and...well...pretty much everything that would provide them with the bathroom of their dreams. And they wanted it to be realized within the confines of their bathroom’s existing square footage. Let’s take a look at the exceptional, unique details, materials, and design we used to fulfill my clients’ every wish. 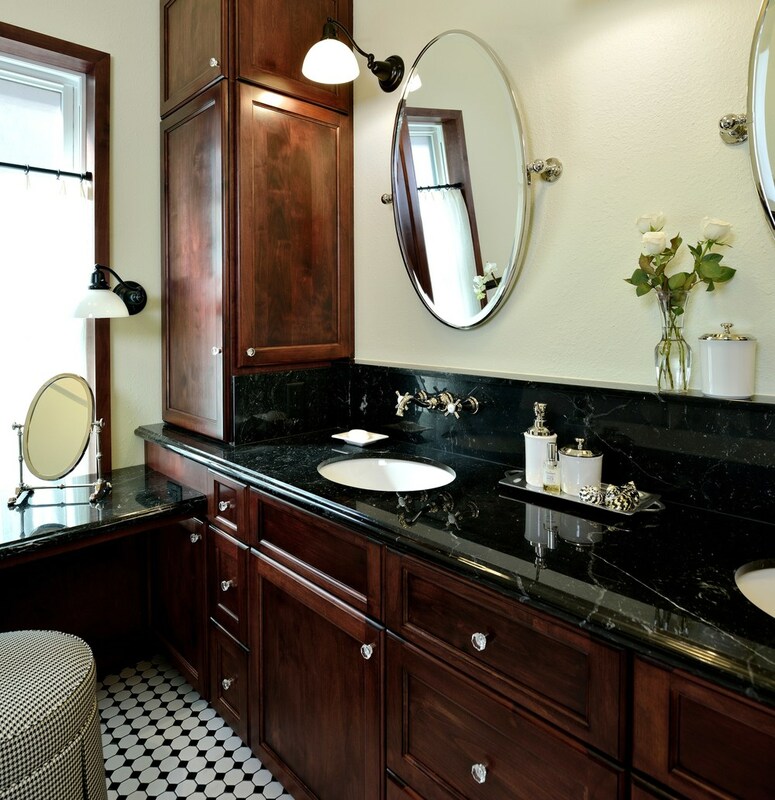 ♦ A gorgeous, polished black marble from MCA Systems was used at the counters, and then repeated in the shower, on the bench, curb, and the shampoo niche. It’s so completely reminiscent of this style and appropriate for the space. ♦ Vintage-inspired mosaic tiles were used on the floor and in the shampoo niche. ♦ Rich, cherry wood cabinetry was designed to give historical reference and add a rich contrast to the black and white. ♦ An antique tub the homeowners found themselves at a specialty dealer located in the Texas countryside was restored and refinished. 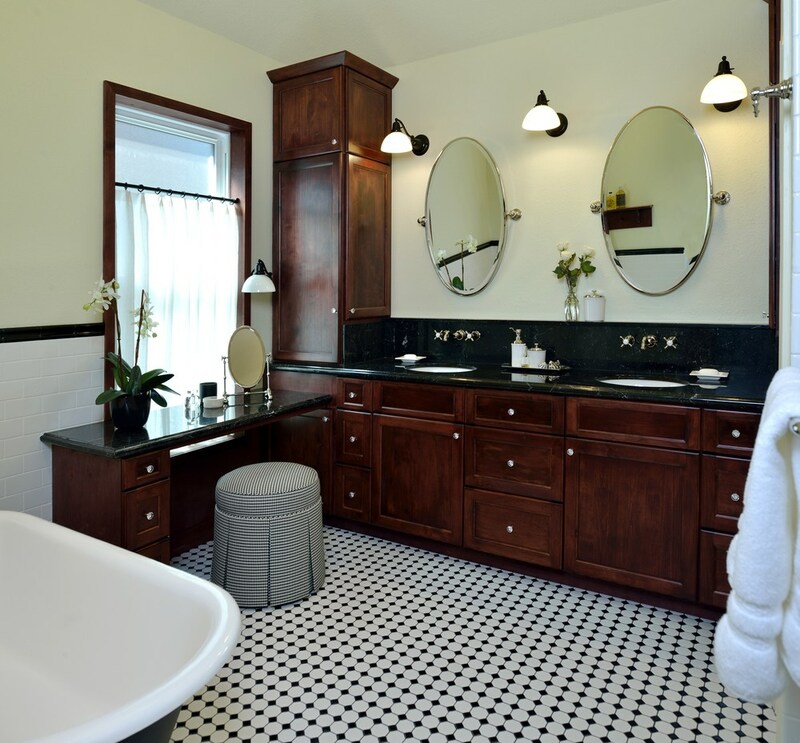 ♦ The polished nickel vintage style plumbing fixtures added sparkle and telegraphed the style of the room. I especially love the wall mounting at the sinks, as well as the ledge we created that provides a bit more counter space. ♦ Beautiful mirrors, in a vintage-inspired oval shape, added even more sparkle to the room. ♦ Specialty lighting from Rejuvenation Hardware was installed. I love that pendant with the wire netting that allows our floor pattern to be repeated up high in the space. 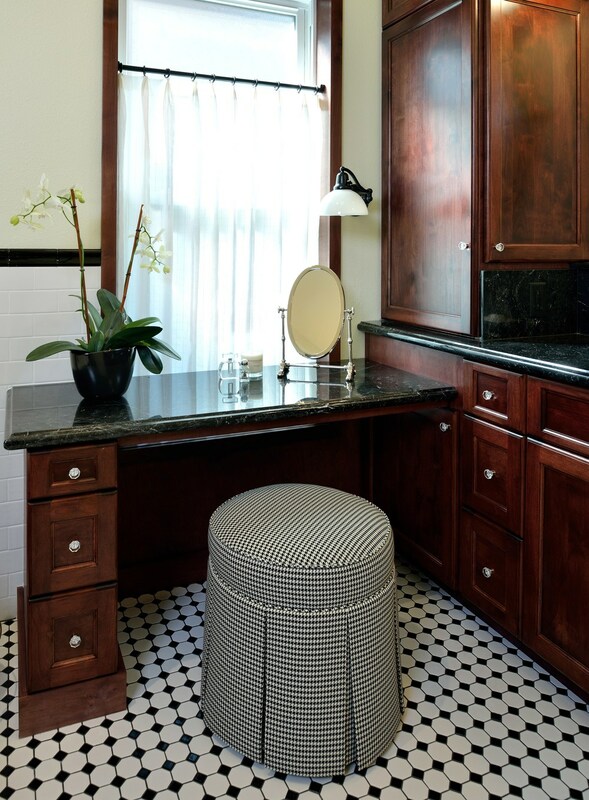 ♦ A seated vanity placed in front of the window embracing the room’s natural light was used, along with a charming little houndstooth patterned rolling stool to accompany it. Putting this black and white pattern on top of the black and white patterned floor worked so well here; and it doesn’t look confusing thanks to the variation in scale. ♦ A jewelry cabinet was custom made to specifically accommodate my client’s jewelry pieces. I patterned it after my very own jewelry cabinet. ♦ To add a touch of cherry wood that would warm up the tub area, a custom wood towel rack was made. In order to make a design to feel cohesive, and the space feel balanced, particular colors, finishes, or patterns are best repeated around the room. ♦ To create an atypical (and not-so-historical) wall and ceiling color, a crisp, light apple green was used to modernize the space and make it feel fresh and not so sterile. ♦ Cherry wood framing was applied to the window; a cafe-style curtain with a windowpane patterned sheer will keep the room light and bright, as well as soften the look of the frosted window. So what do you get when you combine all of those gorgeous details, beautiful materials, and a special touch? A very happy client who has the vintage-inspired bathroom of their dreams! Check out all of the afters down below! I was so pleased these clients wanted to go all-in with on the design of their bathroom. If you're looking for a bathroom design that speaks to your taste and personality, we can help you get there. Want some similar vintage look products found in this bathroom? I've got some links right here.